Discussion about innovation is all the rage these days. 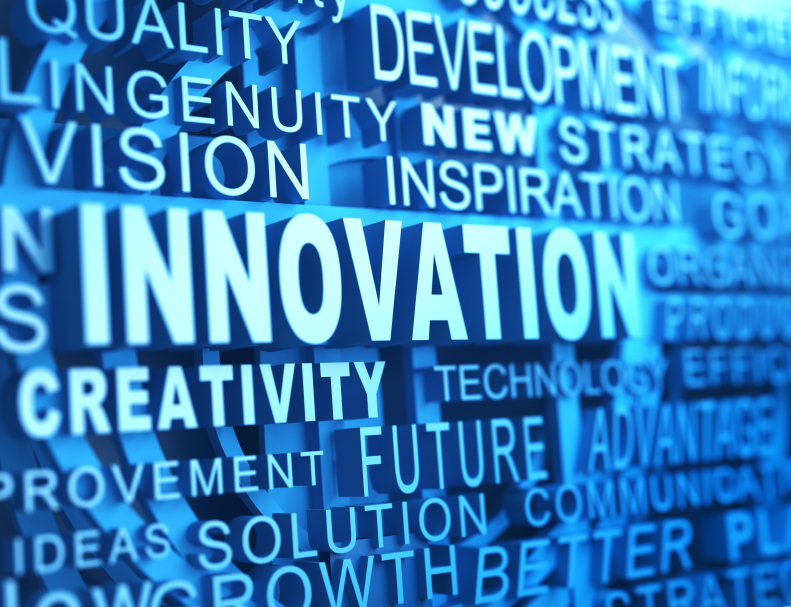 Everyone is seeking innovation, pushing innovation, and driving innovation. Your clients are being challenged to innovate the way they make decisions, how they do business, and how they deliver results. Against this backdrop, it’s important to understand that as a client-facing person, you have the ability to be a primary influencer of your client’s innovation. Years ago, I was a Personal Computer Sales Rep for IBM. One particular year, the company had a 3-day solutions conference for the salesforce. They brought all of the PC and server salespeople to the IBM facility in Research Triangle Park, North Carolina and they previewed all of the goodies that were going to be introduced in coming generations of IBM PCs. Intel was there as well as a number of other component manufacturers. It was a great conference and an insightful look into the future of the business. A couple of days after I got home from the conference, I received an irate call from the CIO of one of my biggest clients. He said, “I need you in my office first thing Monday morning. No Excuses.” I was worried because he was a very tough customer. While he was an excellent client and had treated me very fairly as a young salesman, I did not want to be on his bad side. At 8 AM on Monday, I walked into his office and he was not a happy camper. He started the meeting by saying, “Didn’t you attend your PC Solutions conference last week?” I replied, “Yes, I did – how did you know that?” “Never mind how I know that”, he said. “Why didn’t you call me as soon as you got back here to set up a meeting with me?” By now, I was dumbfounded. Not only did he know where I’d been but he was expecting me to report to him about it. Sensing my confusion, he sat silent for several moments and then he said something that has shaped the remainder of my career. Speaking in a very stern voice, he said, “Young man, the value you provide to me as my PC sales rep is only marginally contained in those gray boxes that show up on my loading dock from time to time. The real value you provide to me as my Sales Representative from the International Business Machines Corporation is that you have access to knowledge, information, trends, and insight that I can’t get anywhere else. That is why you get time on my calendar and that is what I expect from you.” That was a light bulb moment for me and it was a conversation I’ll never forget. Think about your clients for a minute. They are busy dealing with all kinds of internal priorities. Requests from superiors, subordinates, and peers. There is always more work to do than there is time to get it done. In the technology space however, there is always something new happening. New products, new technological breakthroughs, new ways of thinking and processing the business. The trouble is, as much as your client would like to, they probably don’t have time to stay on top of it all. By necessity of their roles and responsibilities, your clients tend to have an inward-looking view but so much of what’s groundbreaking and innovative is happening outside of their enterprise. This is where you come in. As a technology salesperson, you have access to all kinds of information from all kinds of sources. Your company has a view of the technology space based on a lot of hard work by people in your R&D, product development, and marketing organizations. Your company also either publishes or subscribes to a number of industry studies. Individually, you probably consume a great deal of industry information online and through magazine subscriptions. The bottom line is you are a vast repository of potentially useful information that your clients want and need. I recently had a discussion with a Vice-President at one of my clients and he made a statement that really made me think. He said, “As you know, we are a big [company x] shop and I know what they’re telling me. What keeps me up at night is worrying about what they aren’t telling me. That’s where I need your help – I need you to fill in those blanks.” It’s important to note that his comments were not an indictment of [company x]. He isn’t looking to replace or admonish them. He just wants an alternative point of view. He’s looking for me to provide another perspective to help him make better decisions. As someone in a client-facing role, you have opportunities to help your clients make better decisions every day. If you embrace those chances to provide innovation to your clients, you will demonstrate real value. Not all of those opportunities are about getting a P.O. today but the cumulative effect will be that you will gain the credibility to become your client’s trusted advisor and Chief Innovation Consultant.